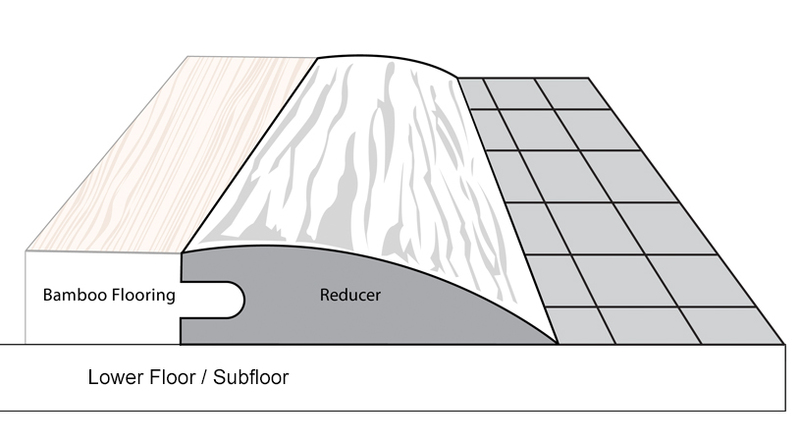 Reducers are necessary when transitioning down from your bamboo floor to a lower floor (tile, linoleum, carpet, etc). This particular reducer has a groove milled into it so it can be easily slid into our Natural Strand 9/16 inch tongue and groove bamboo flooring. 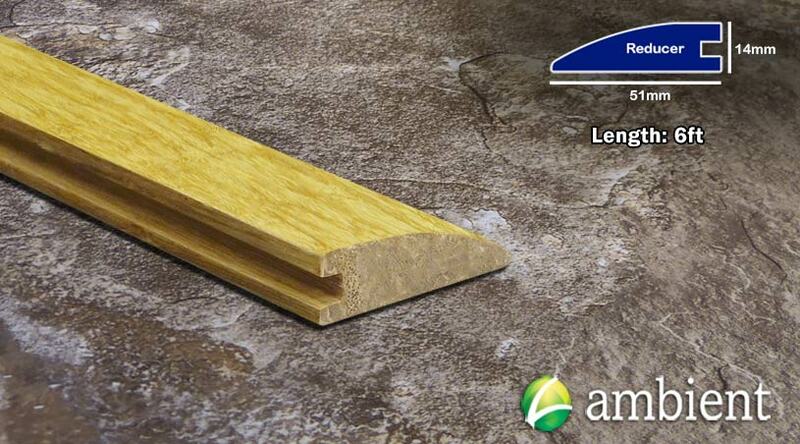 This will also work with our wide plank flooring. We hand pick our moldings to match your flooring order to ensure you get the closest shade of Natural for your project. By going with a strand woven bamboo reducer, you are getting one of the hardest, most durable reducers on the market - and it comes prefinished!